Dr Cyrus Poonawalla, Chairman of Poonawalla Group, presents his views about horse breeding. 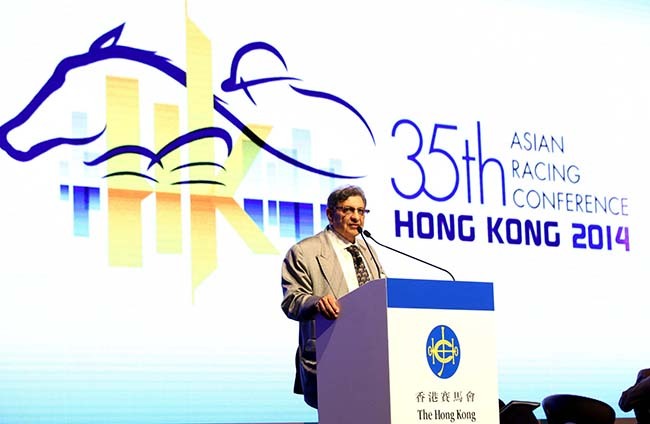 The breeding industries in India, Turkey and the Philippines came under the microscope at the 35th Asian Racing Conference this afternoon at a session chaired by Dr Cyrus Poonawalla, the inaugural Chairman of the Asian Stud Book and the owner of India’s biggest stud farm, Poonawalla Stud. Speakers examined three areas in particular: the major influences on the domestic breed; the current level of investment in the sector in each country; and the introduction of new bloodlines. 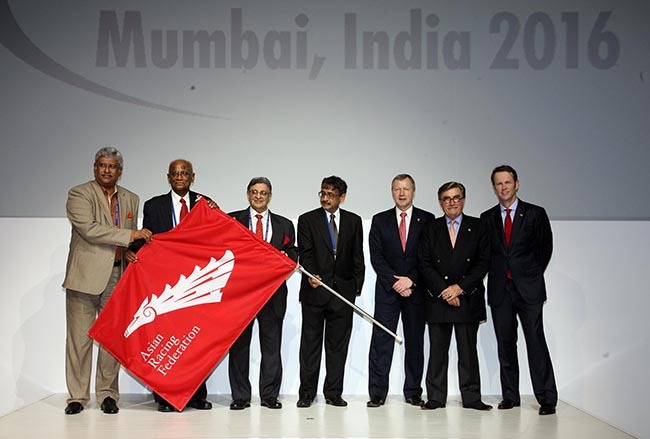 Satish Iyer, Registrar of the Indian Stud Book and a central figure in guiding emerging stud books in the Asian zone on technical matters, took delegates through the modern history of India’s breeding industry. After the Indian government initially banned horseracing in 1947, he said, broodmare numbers plummeted to 400. After a steady process of development that included the import of higher quality horses through the 1990s, today India has 80 breeding establishments with 103 stallions, 2,806 broodmares and 1,600 foals born last year. "The Indian breeding industry is now healthy but it took two decades to bounce back after the 1947 government decision to ban racing which extended through to 1953," Mr Iyer said. Bienvenido Niles, President of the Philippine Thoroughbred Owners and Breeders Organisation (PHILTOBO), told delegates that in 2013 the Philippines had 2,245 racehorses, with only 158 of those being imported or foreign-bred, stabled at the country’s three racetracks. Sadettin Atig, a Member of the Executive Board of the Jockey Club of Turkey, highlighted the role of the government programmes to assist the breeding industry in Turkey. These have included the purchasing of world renowned stallions such as Powerscourt and Lion Heart, made available with up to 50% deductions on nomination fees, and incentives for owners participating in international races. "We do have world class stallions standing at very competitive fees," said Mr Atig, who added that Turkey had 281 thoroughbred stallions and 1952 thoroughbred mares as of 2012.